Need to Get Out of Jail? We can Help! Serving Christiansburg, Blacksburg, Dublin, Radford, Pulaski, Roanoke and surrounding areas. Contact your local bail bonding agent today! 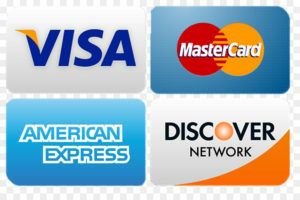 We accept cash and all major credit cards and payment plans upon approved credit. Mark Gimbert (Bondsman #99-174931) Mark has been a bail bondsman since 1988. He specializes in helping people at a difficult time. Mark is always courteous, on time, and known by lawyers and courts as a fine gentleman. He can answer all of your questions concerning the bail bonds process. Mark is a graduate of Fork Union Military Academy. Which is where he formed a lifetime friendship with his captain, John Gaunt. John Gaunt (Bondsman #99-433473) John is also a graduate of Fork Union Military Academy. He is an important part of the A-1 Bonding team. He is always available to help in any way possible. He is kind, funny and always a gentleman and foremost a professional. He is respected by all. Ellen Campbell (Bondsman #99-174930) Ellen is a graduate of the University of Georgia and has been a bail bondsman for nearly 40 years. Ellen and her husband established A-1 Bonding company in 1979. After her husband’s sudden death, she continued with the business and is highly respected in Virginia courts. Along with the gentlemen that work with her, the A-1 Bonding team is highly respected by client’s attorneys and courts. Her integrity in the bail bonding business has set her apart. We know you want out of jail! So we do our best in helping you achieve this goal. We will meet and discuss what is needed in order for you to post bail. Yes, we go the extra mile to help you reach your goal. A1 Bail Bondsmen have over 40 years experience. Our bondsmen are very professional and keep things private as we know this is a confidential matter. We are fast and available 24/7. Have questions? Not a problem. Our bondsmen help answer any questions that you could possibly run into. With over 40 years experience, our bondsmen have heard about every question possible. Many other charges we have posted bail on. Contact us today to talk with a bail bondsman. Talk with a bail bondsman today!